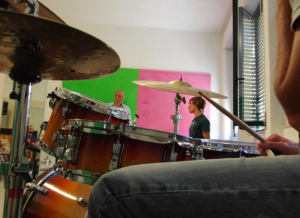 Nuoro Jazz Seminars, created in 1989 and directed by Paolo Fresu until 2013, quickly became one of the most prestigious and innovative event in the jazz didactics field in Italy and Europe. Since the first edition, thousands of students have attended the seminars in Nuoro with an average attendance of more than hundred students each year; many of the former students have moreover pursued a successful international career, as for example Gavino Murgia, Giovanni Falzone, Simona Premazzi, Filomena Campus and those like Francesca Corrias, Marcella Carboni, Fulvio Sigurtà, Giovanni Agostino Frassetto, Salvatore Maltana just to name few, whom are now teachers of the seminars. 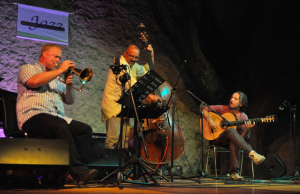 Jazz workshops in Nuoro, between the second half of August and the first week of September has become a must-be appointment in the jazz scene in Italy and Europe; during those days, Nuoro – in the heart of Sardinia – becomes a real jazz town. Roberto Cipelli, teacher of the Nuoro Jazz Seminars since the first editions, took over as Artistic Directior since 2014. In the ten-days seminar, students find a welcoming and challenging atmosphere in the town of the Nobel prize Grazia Deledda. Nuoro Jazz Seminars offers twelve courses, both instrumental and theoretical, held by some of the best Italian jazz musicians and teachers, with extra-curricular activities such combo classes, international workshop and folk music masterclasses, often regarding Sardinian´s traditions; worth to mention the workshop offered by Maestro Luigi Lai and his Launeddas, an ancient reeds-made instrument which characterize the sound of Sardinia and its history. 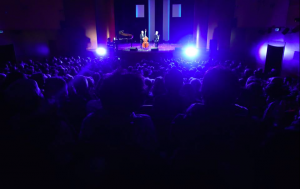 Moreover, as a truly jazz-city atmosphere, everyday runs never-ending jam sessions and a great international festival – Nuoro Jazz Festival – with live concerts every night, which are an essential and irreplaceable part of the didactic experience. In these years Nuoro Jazz has hosted the Gotha of Italian and International Jazz, among others: Paolo Fresu and his quintet, Enrico Rava, Stefano Bollani, Maria Pia De Vito, Bruno Tommaso, Franco D’Andrea, Roberto Gatto, Rita Marcotulli, Gianluca Petrella, Stefano Di Battista and international as Steve Lacy, Dave Holland, Dave Liebman, Kenny Barron, Uri Caine, Butch Morris, Miroslav Vitous, John Abercrombie, Carla Bley, Steve Swallow, Airto Moreira, Sheila Jordan, Bobo Stensson, John Taylor, Joe Lovano. The seminar ends with a final recital which involves all the students and teachers on stage together, in an always diverse musical and logistic settings. A multimedia and multicultural original production, with a different theme every year, brings the seminars to the areas and villages nearby, with an itinerant marching band and diverse stage corners, aiming to divulge jazz culture, atmosphere and passion within the community. Nuoro Jazz Seminar offers different prizes every year, awards which allows the most talented students in different areas and pinpointed by their respective teachers, to get different scholarships for the forthcoming edition. Aspect which makes the whole experience even more exciting and challenging, in a healthy and productive learning/sharing environment. 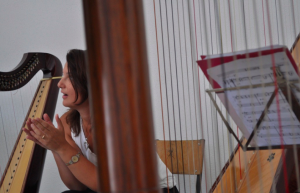 The Ente Musicale di Nuoro will hold the 31st Seminar on Jazz music in Nuoro, at the School of Music “Antonietta Chironi” in via Mughina, 87, from August 20th to August 30th. In order to enroll, you must complete the form (which you can download here: Registration form ), send a passport or id photo and make the payment according to your chosen seminar. Payment can be made with a with a bank transfer to Banca Prossima (IBAN code: IT72I0335901600100000067443), specifying the reasons for the transfer: “Iscrizione Seminario Nuoro Jazz 2019” (Nuoro Jazz 2019 registration) or, alternatively, postal order marked on c/c postale n. 10307080 to: Ente Musicale di Nuoro Via Convento, 8 – 08100 Nuoro . The completed form, the payment receipt and the photo must be sent to Ente Musicale di Nuoro – Via Convento, 8 – 08100 Nuoro or emailed to: nuorojazz@entemusicalenuoro.it no later than August 4th 2019 (any late registration will be accepted only if there are available spots). On a regular day, there are three hours of instrumental classes (divided into the two levels the students), two hours of History of Jazz Music, three hours of theoretical classes (divided into the two levels the students) two hours and a half of combo class and one hour of open group rehearsal. On the first day the students will be divided into their appropriate level by the teachers comprising two or three different levels. Depending on the number of registrations, there might be a second teacher for the instrumental class, and the students will be assigned to one of the two teachers based on their level. Nevertheless, during the Seminars, there will also be classes held with all the different levels. The combo music groups will be formed on the first day by the teachers, based on the student’s level of preparation. It is not possible to guarantee that every student will be assigned to a group. Afterwards in the evening time, there will be a concert within the Nuoro Jazz Festival program. At the end of the day, jam sessions will be organised in a club in Nuoro where students, teachers and musicians that performed at the concert will have the chance to play together until dawn. Please note: Nuoro Jazz includes the international master class. The master class will be held from 3 pm to 5.30 pm on these dates. BEST STUDENT of NUORO JAZZ ENSEMBLE. This ensemble will open the Nuoro Jazz Festival the following year. Any further opportunity will be communicated later on. (In 2017 the ensemble performed at the International festival “Time in Jazz” in Berchiedda, and they recorded an original CD). MASSIMO URBANI award: the winner will compete in the final of the “Premio Internazionale Massimo Urbani” of Camerino and Urbisaglia. BILLY SECHI award, the award dedicated to Billy Sechi, Sardinian drummer and jazz icon, that allows the attendance to the “Siena Jazz” seminars the following year. Seminar Reenrolment Scholarship: One student from each class is awarded with a free enrolment to the Nuoro Jazz seminars the following year. Any further award will be communicated to the students during the Seminars.